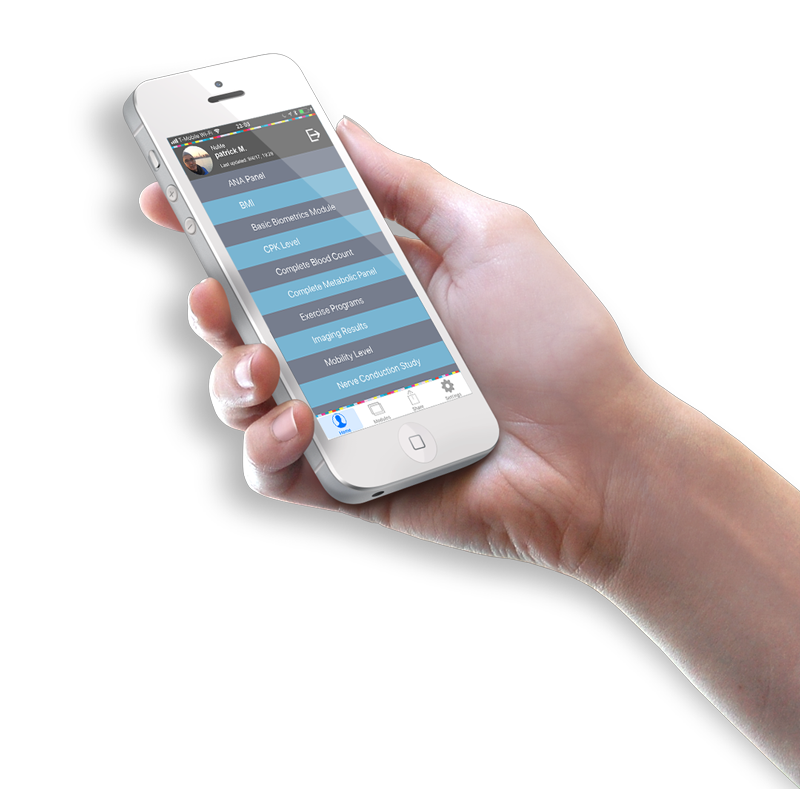 Announcing our new, customized App for myositis! We announced at the beginning of this year, 2018, our goal to create an App for the myositis community. We are happy to announce that the first phase of this app is now available for iPhone users. We have entered into a partnership with Portable Genomics to enable people with myositis to better collect, manage and share important health data with treatment teams, researchers and the pharmaceutical industry. The data you track and collect, for your own use, is secured on your smartphone and personal cloud. If you consent to share data for research purposes your personal information is scrubbed to protect your privacy; you have the ability to opt in or out of sharing at any time. This is a pilot study of the App and is currently only available on the Apple iPhone and iPod Touch; this is for security reasons. Visit NuMe.website and enter your email address to join. You will need to confirm your email address. The email will come from info@portablegenomics.com so be sure to check your spam/junk folder if you do not see it in your inbox. Click on the gray “Yes, Subscribe me to the list” button. On the next page, confirm humanity by completing the verification. The NuMe App is in beta testing so in order to use it on your phone, you will need to download the Testflight App. You will receive a code via email that you will need to enter. This email may take 24-36 hours for you to receive. While waiting for your code, you are welcome to search and download the Testflight App in the App Store. Enter the code provided in the email you received. After you enter the code, the NuMe App will be listed in the Testflight App. Click Open and it will launch the NuMe App. Click the Need an Account? button at the bottom of login screen. Enter the information in the fields requested. Under the community section, choose the type of myositis you have. After 1st launch, you will be asked to create an account with email/password to connect your App with Portable Genomics (PG). Tap [Need an Account?]. Without registering, you won’t be able to use the App. It is a mandatory step. Regular type of information is asked during the registration process, for account administration, i.e. to reset your password and to create a secure connection between your App and PG backend. Every time you will launch NuMe, you’ll be asked with your password and a secured connection with our backend will occur. When using NuMe, every time you send the NuMe App in the background, and come back to NuMe, you’ll be asked your password again for security reason. It is also recommended to have the iPhone Auto-Lock activated. 4 views are available in NuMe, the [Home] view, the [Modules] view, the [Share] view, and the [Settings] view. NuMe being a user-driven and modular App, you will build your own App. The [Home] view is empty until you start adding data collection modules. You will add data collection modules from the [Modules] view. We have started building a list of predefined data collection modules for Myositis, PSP, MSA, Peroxisomal Disorders, Ovarian Cancer, additional to our initial Cystic Fibrosis (CF) modules list. Modules will appear immediately in the [Home] view. Additionally, you can add more modules from other predefined lists. You will then navigate in modules from the [Home] view. You can also explore the [create module] feature to create your own modules. c) [Tap on module’s name (center of line)] to visualize last or previous data entries. MSU encourages patients to journal for their health. This app helps make that process easier, more efficient and adds benefits a traditional notebook could not provide. MSU is a patient-centered nonprofit organization that passionately advocates for myositis patients and caregivers, promoting self-advocacy to take charge of their health. We have encouraged myositis patients from the very start to journal for their health. As part of our recommended journaling practices, we suggest tracking symptoms, abilities, medications and treatments, falls, pain, exercise, and nutrition, among many other factors, and to keep copies of lab reports, imaging studies and reports, and photos of skin rashes. 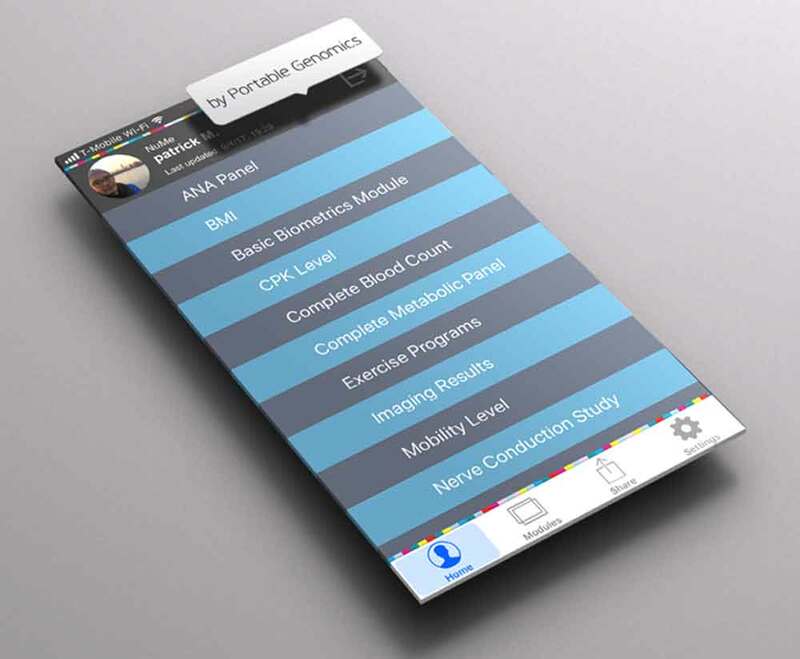 The NuMe app for myositis enables patients to track all of these recommended pieces through manual entry, importing data, and adding photos and notes. 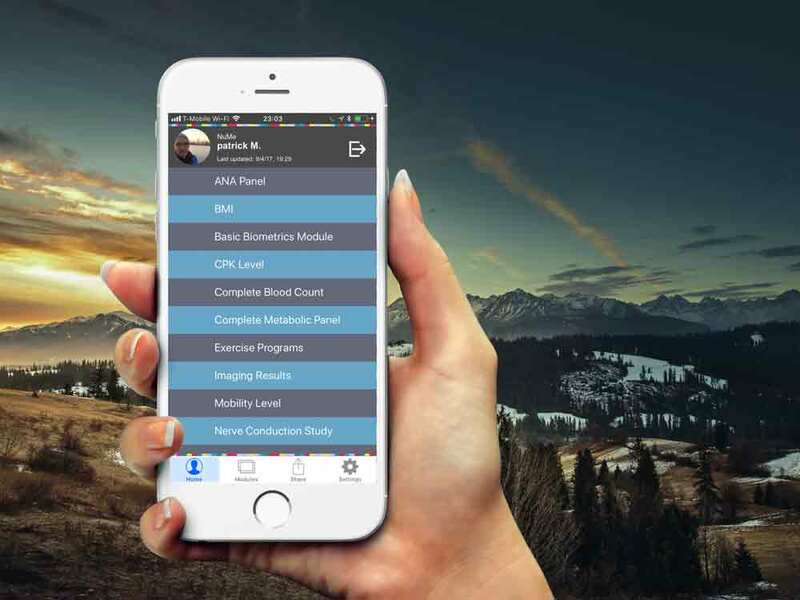 The app provides additional advantages including the capability to share this data with their caregivers, healthcare partners, and eventually with pharmaceutical companies and researchers to help further myositis research, clinical trials, and drug development. The home tab is where you will find your current available modules. When you customize modules and add additional modules from other communities, they will also be available in this section. 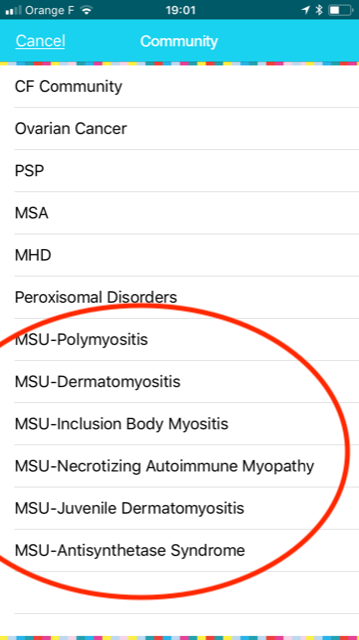 The App comes preloaded with modules for myositis with more coming soon. In the Module tab, you can customize the modules you wish to use, create new modules, and use other modules that apply to you from the other participating communities. 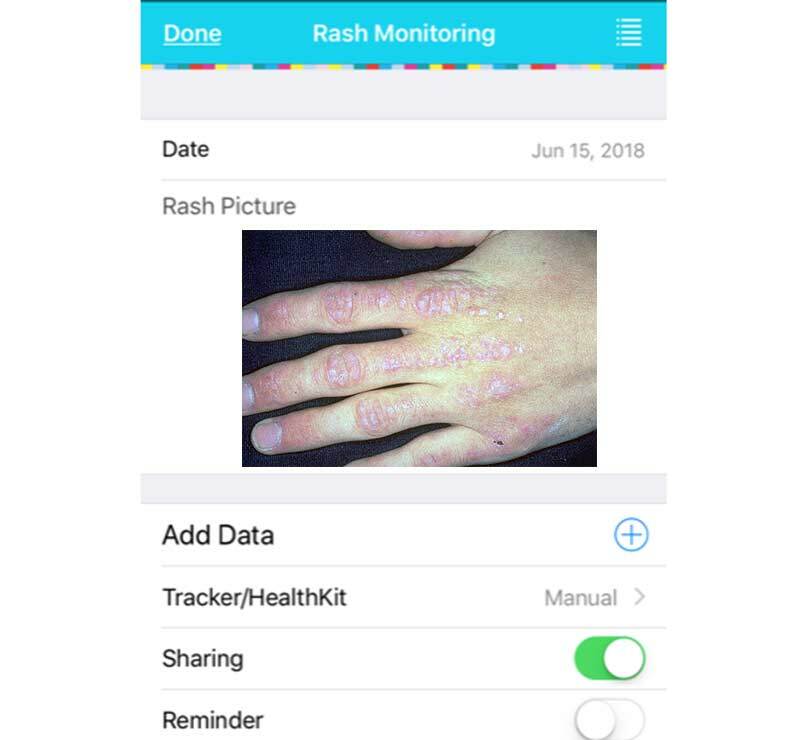 Newly added module, “Rash Monitoring” to store, save, and share pictures of your rashes. One of the awesome features of this App is the ability to share your data with whom you choose. When the time comes, and we have the opportunity to monetize data with an agreement made through Portable Genomics and industry, you will be able to opt in or out at any time. Your data is always private unless you decide to share it. You can also create reports and send data to caregivers, doctors, and whomever you choose. The settings tab allows you to manage your account, update international units of measurement, and request a password reset. If you currently use the Health App on iPhone, each Module allows you to connect your data. So if you are tracking Temperature and you already use this in the Health app, open the Temperature Module in NuMe, and click on Tracker/Healthkit and select Health. If you wish to manually enter data using the NuMe app, each module should be set to manual. Use the app and track your data! 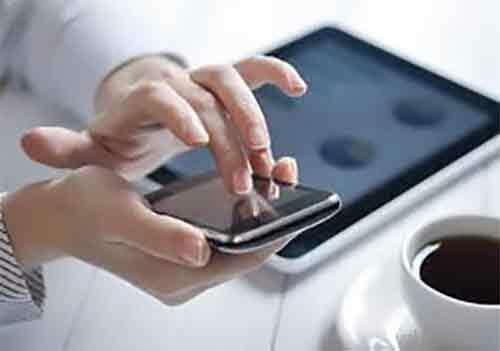 It is important to the success of this endeavor that you utilize this App to track your data. The more data you track and keep up to date, the better able we will be to make future agreements that will help to monetize your data and help enhance research and drug development opportunities for the inflammatory myopathies. Input and track your health data today, and each day. A part of this pilot release is to get actual patient/users feedback. 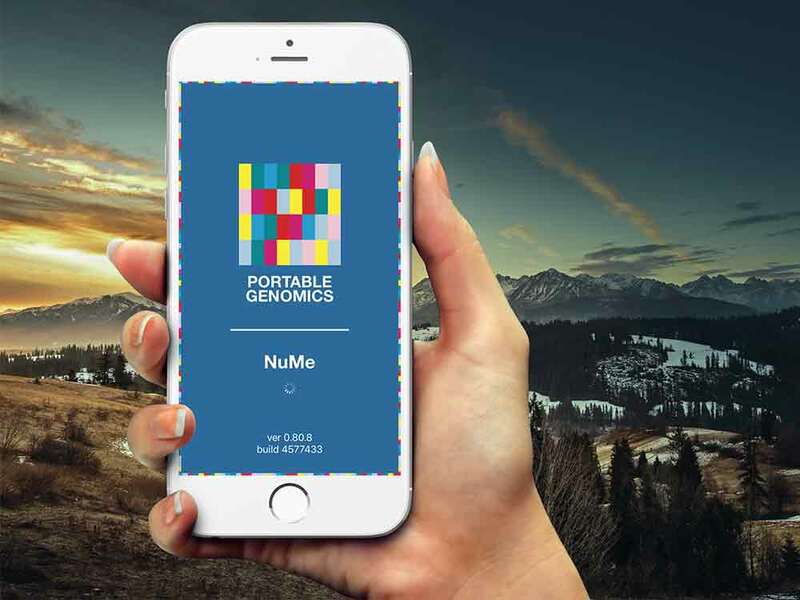 Portable Genomics and MSU want to know what you like about the app, what you think could be changed, added, modified, etc. Your feedback is how we help make this app successful. with more coming soon. You can also use modules from other community modules. Track your abilities to perform activities of daily living. Input your ANA results and have the ability to graph the results to see trends. Track things like height and weight and see graph view to track trends. Input your CBC results and have the ability to graph the results to see trends. Input your CMP results and have the ability to graph the results to see trends. Input your CPK results and graph the results to see trends. Input images from CT, MRI, X-rays, DEXA, EEG, and other imaging studies. Keep track of your mobility level and update when it changes. Input the results from your nerve conduction study. Track your daily, or more frequent, pain level to accurately report to your doctor how pain is affecting your life. Take or add photos of Dermatomyositis or Lupus-Overlap rashes to store, save, and share with your healthcare team. Tracking swallowing difficulty can help you notice trends; if swallowing is becoming more difficult it is time to seek medical attention. Input and track your treatments. Include all medications, IV’s, supplements. Keep track of falls to accurately report to your doctor. Here are some images of the App which you can customize to you!